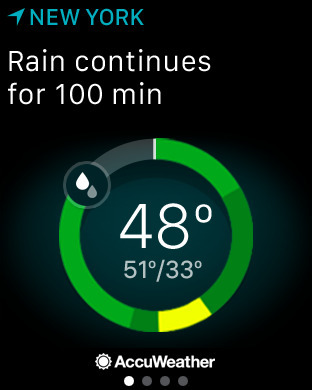 Spring forward to spring showers! 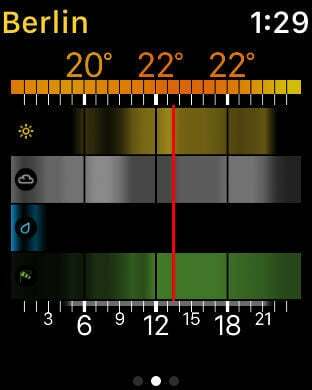 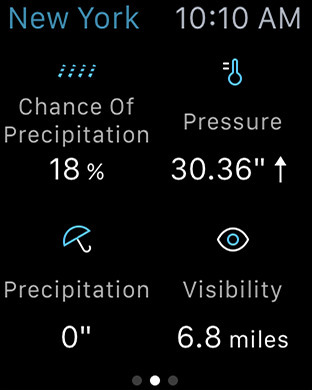 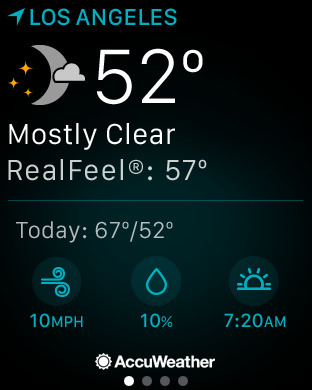 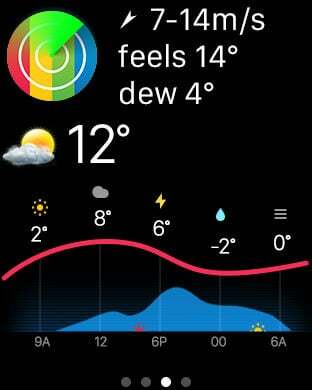 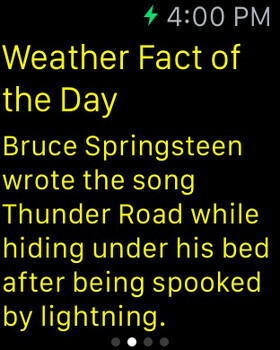 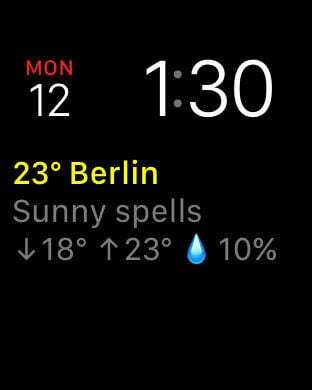 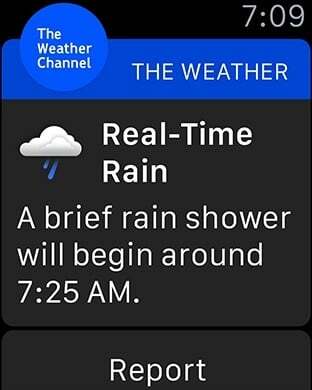 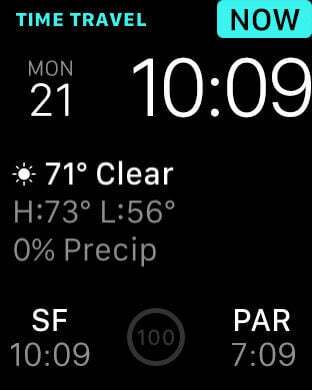 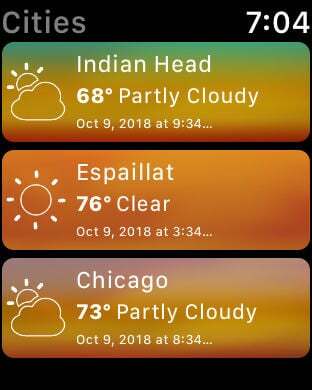 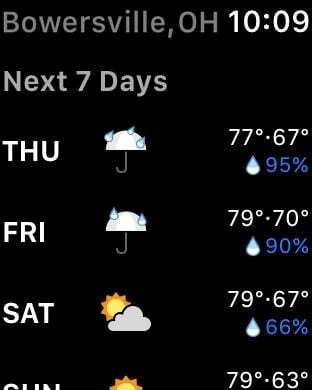 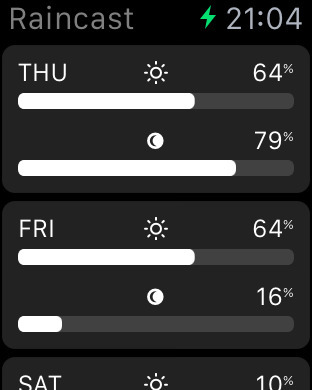 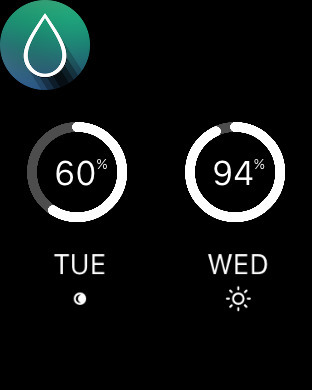 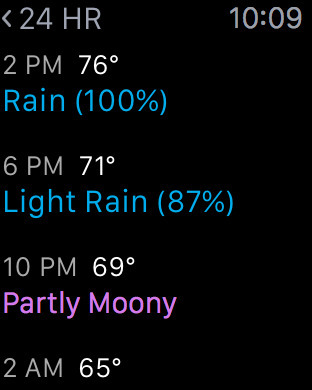 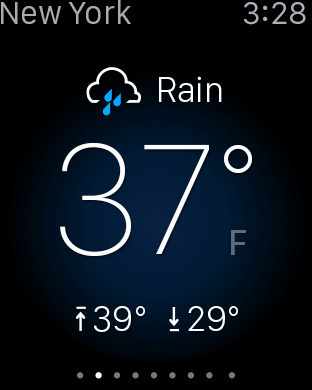 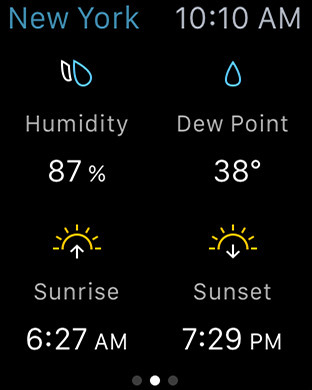 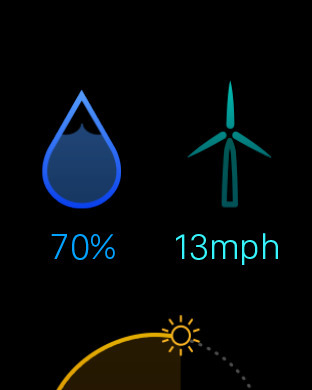 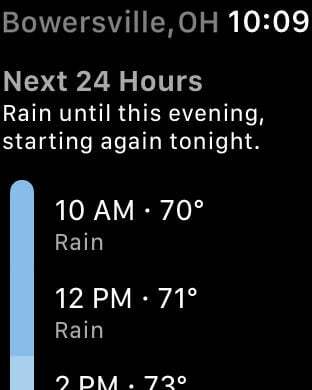 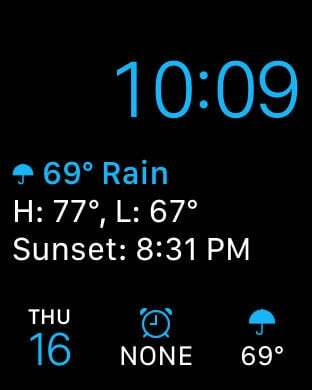 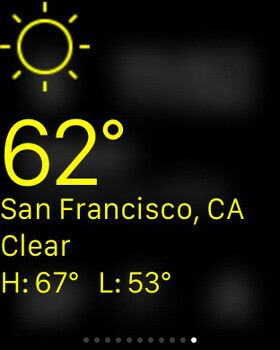 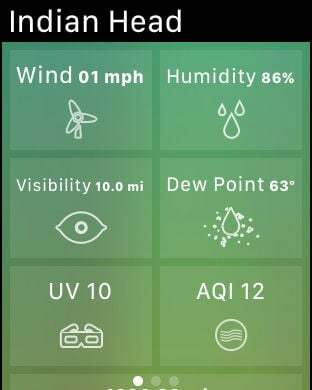 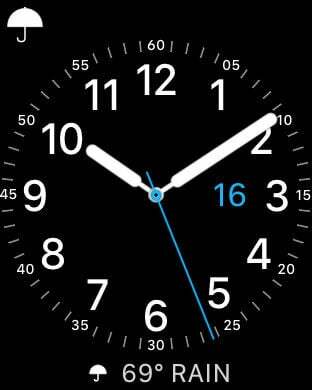 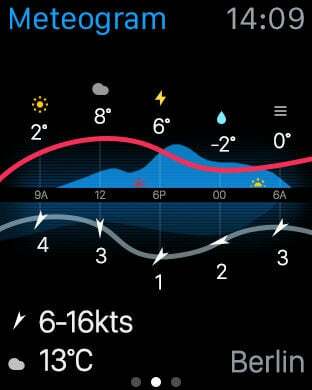 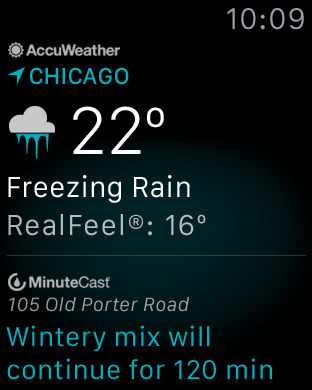 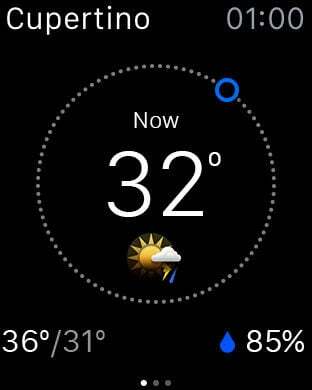 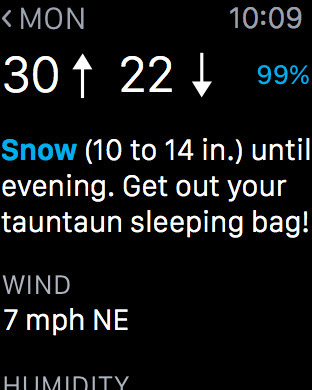 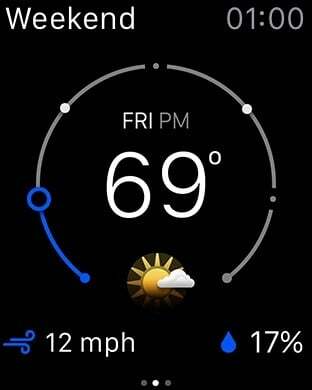 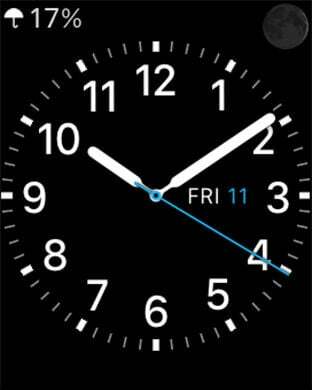 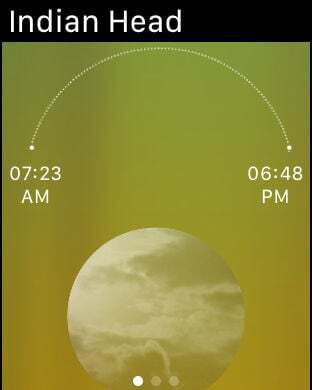 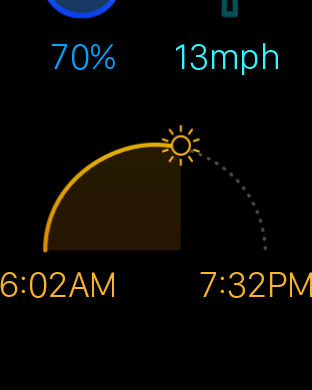 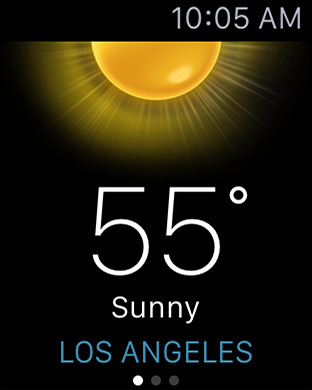 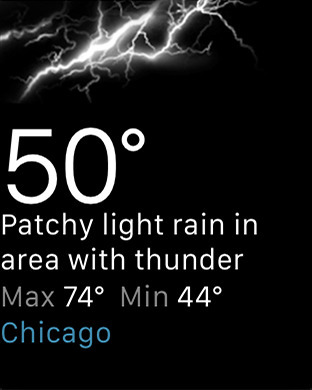 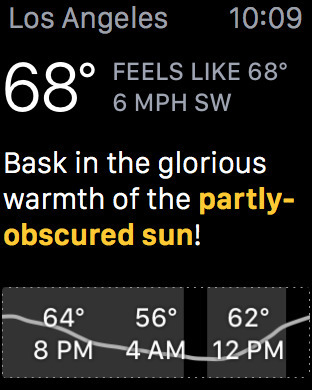 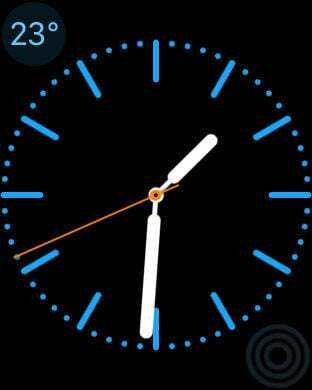 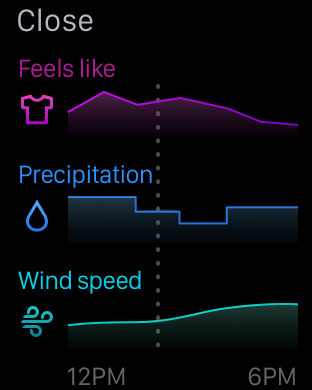 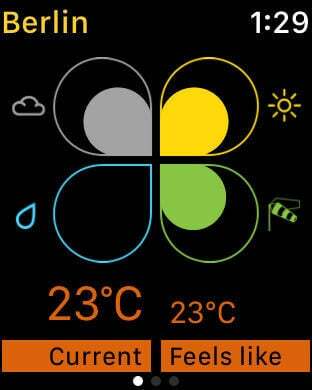 There's a veritable downpour of weather apps for Apple Watch, and like snowflakes, each one is unique. 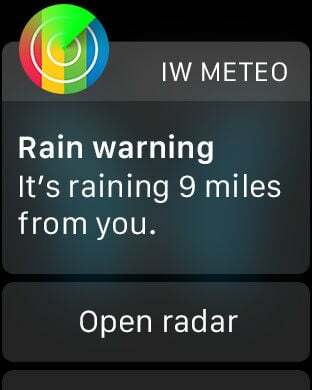 So how can you be sure you're picking the right one? 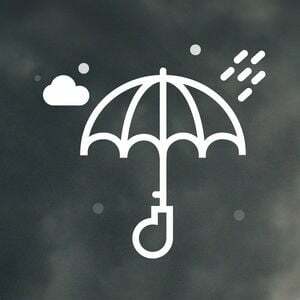 After all, when it rains, it pours. 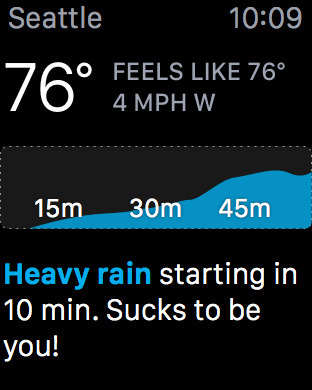 But don't get carried away by the flood. 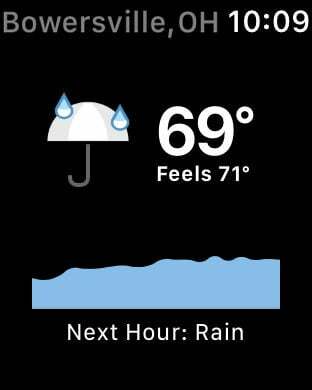 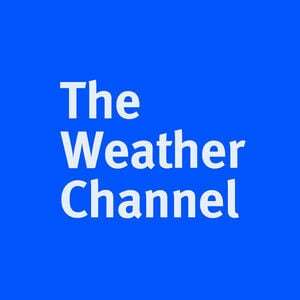 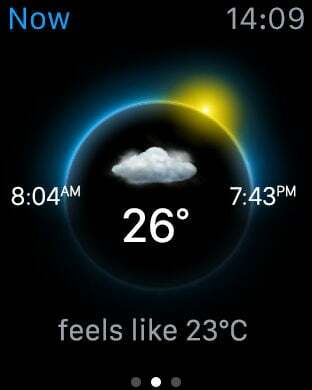 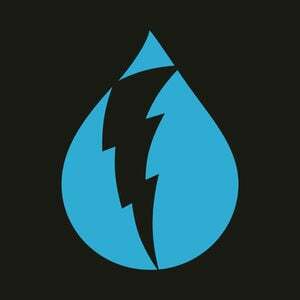 Instead, download these helpful weather apps and stay high and dry. 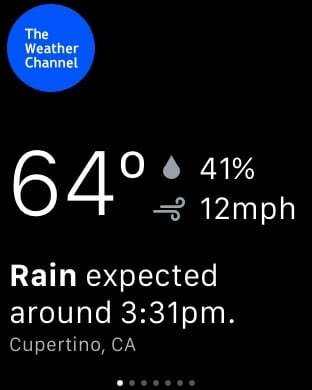 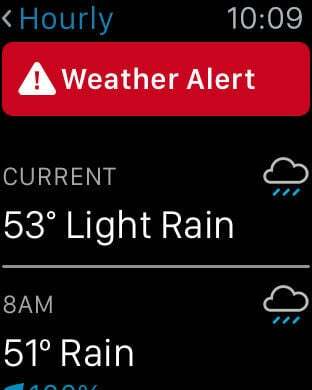 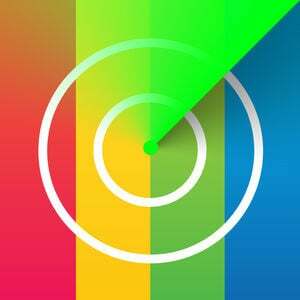 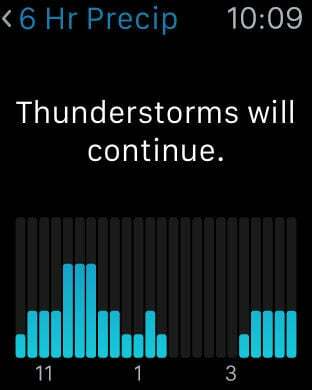 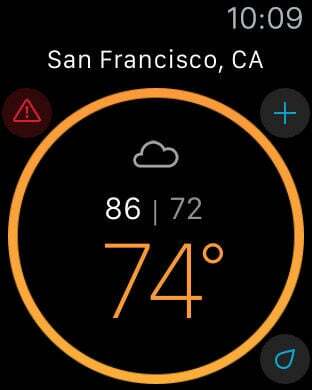 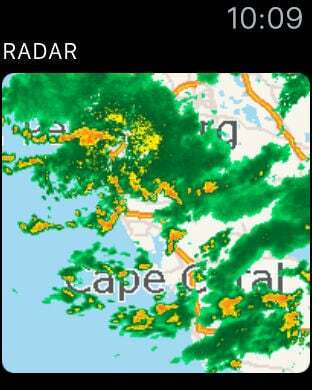 NOAA Hi-Def Radar is the first real-time, hi-def animated weather radar with weather warning info for Apple Watch. 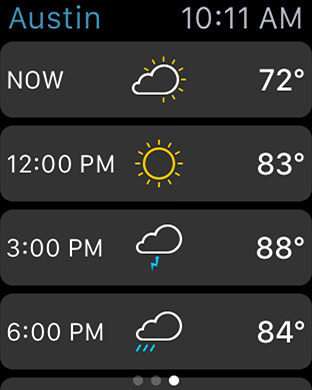 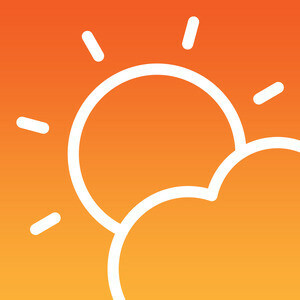 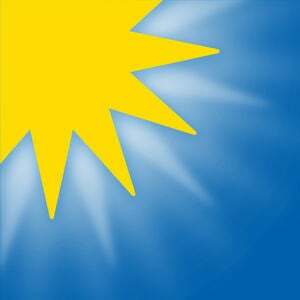 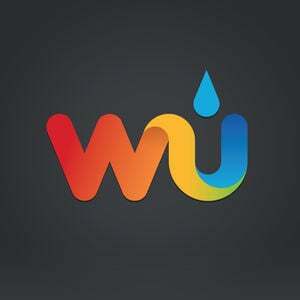 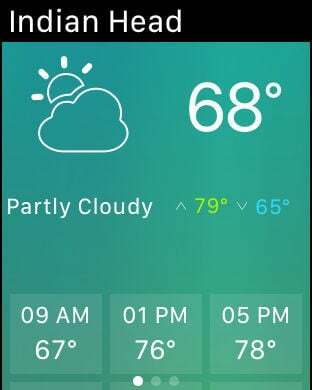 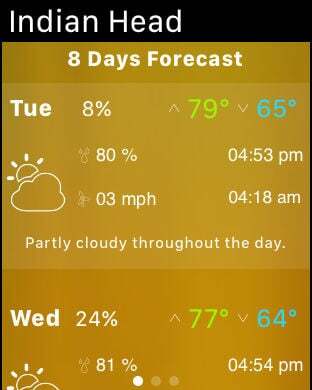 Quickly check current conditions, hourly and three-day forecast for your location and up to 10 bookmarked locations.